Amena offers one-on-one readings and consulations over the phone. 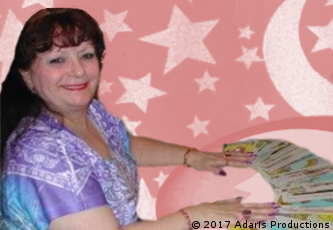 Call her for a reading or great conversation today at 907-243-0988! Amena also does readings in-person and is available for wellness fairs, private parties, and flea markets. Amena has no hidden fees! Simply put Amena charges 99 cents ($.99 USD) a minute. Amena accepts Mastercard, Visa, Discover, American Express. Diners Club, Western Union, checks, cashier's checks, and money orders. Whatever matters to your heart Amena, has the answers. 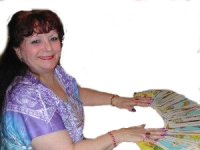 She would love to become your very own personal psychic advisor! Contact Amena today, you will be glad you did! Amena offers additional services through the snail mail (i.e. postal service). See a list of services offer and pricing below. Find out what the stars have in store for you! Offered in three and six month increments. Find out if your lover and friends are good for you! Have better luck with the lotteries and days to do things! Find out what the questions the cards can answer for you! Find out how your birthdate has affected your past and will affect your future! This makes a great gift. Gift cards are perfect for any occasion! Use the form and instructions below to order a gift of any size for a loved one today!